10,000 UK men aged 18-45... join us! For one of the largest charity fireworks displays in the South East of England come to our 62nd annual bonfire night. This event is put on by Wallington & Carshalton Round Table. Our aim is to provide a safe, enjoyable and exciting event for the local community. All profit from the event is donated to local charities to further support the local community. We are a not-for-profit local organisation and the event is put on by volunteers. We are not connected to Sutton Council. The event will be held in Carshalton Park in Carshalton, Surrey. The main entrance is on The Park Road which is off Ruskin Road. There are various other entrances around the park. 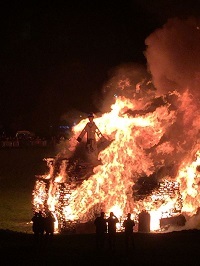 We need pallets - lots of them, for our huge bonfire! Do you have any contacts or does your company need to get rid of any? Stackable pallets can be delivered to Carshalton Park on Friday 1st November from 7am. PALLETS ONLY, unfortunately we cannot take domestic, industrial or garden waste (this includes sheds, trees and fences). 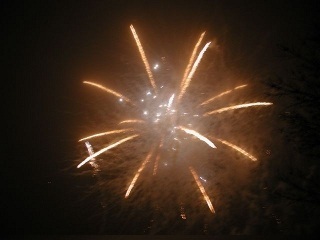 Keep up to date with all the latest information, like our "Carshalton Fireworks" facebook page. Our 24 Hour Pre-Recorded Fireworks and Membership Line is 0208 647 5166. Please leave a message and someone will try to get back to you. We will NOT respond to catering enquiries as we already have our contracts in place. We will not be available to answer any emails on Friday the 1st November and Saturday the 2nd November as we are getting the park ready for the event.